Alaska author Tom Hoffman comes to young adult/children’s literature with a degree in psychology from Georgetown University and a BA in Oregon College of Art. Tom’s career has embraced being an artist, a graphic designer, and now an imaginative writer. His previous books are the trilogy -THE ELEVENTH RING, THE THIRTEENTH MONK, THE SEVENTH MEDALION, and the ORVILLE WELLINGTON MOUSE series. Now a fresh new adventure with a different flavor – a time travel/coming of age tale. This review’s title quote is from Henry David Thoreau and Tom uses it to open his book. He takes a chance with this book, stepping into a fine combination of magic, science and metaphysical realities. 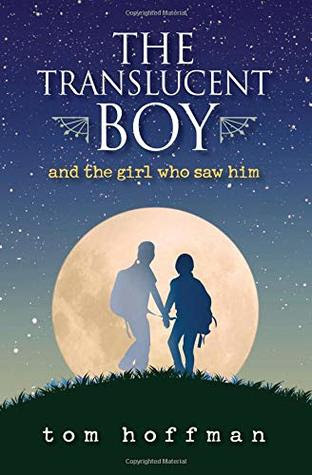 While the novel is rollicking in humor and coming of age sensitivities, it continues to follow Tom’s art of creating lovable characters who literally step off the page into our imagination and caring. For example, Tom opens his story thus: “The old man tapped the simmering flask with a long bony finger, adjusting the hissing blue flame, watching the swirling Vapors cool and condense in a gleaming spiral glass tube. Droplets of iridescent pink fluid trickled through a complex array of piping and filters, their circuitous journey ending at the bottom of an exquisitely carved Crystal Phial. The hurried footsteps we muffled by plush maroon carpeting, but still startled him. He turned quickly, one arm extended, palm facing outward. “Relax, it’s just me.” “It went well? They accepted my proposal?” “It was far from unanimous. They have concerns over the timespan and the lack of hard scientific data to support your initial premise. The Counselor reminded me mow than once how capricious the events of life can be. In the end they agree to let you move forward. You do have a certain reputation.” The old man shook his head. “Sleepwalking fools, seeing only the chaos where there is order. Blind to the hidden threads that connect all things. The events of our world are anything but capricious.” A seductive entry into the mysterious fine tale has been signaled. Titillating? Yes, and all the more so as the reader becomes involved in this highly imaginative bow to possibilities- written in polished sophisticated prose. This is a very successful novel.